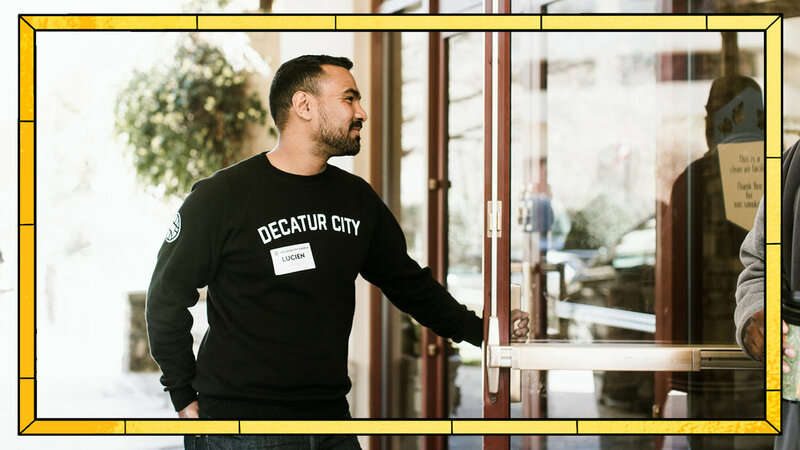 It takes so many incredible volunteers to make Sundays possible at Decatur City. For us to create the best experience for our guests in January, we’re going to need even more people to take a step to get involved. Would you consider serving for six months in our areas of greatest need? Just fill out the form and someone on our staff will contact you to find the volunteer role that is best for you! As you can imagine, taking an old space and making it new again will require a lot of time and resources. But we think it’s better when we all get involved! We’re hosting a series of volunteer opportunities at our new location to help us make this project possible, and we’d love for you to join us. Projects are limited, but we’ll be adding more as we approach our January 2019 launch!